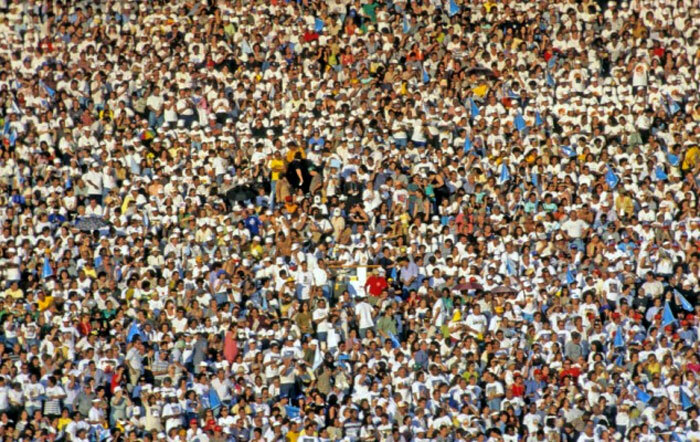 Issued by The Royal Society, People and the Planet is a new study concerning the challenges posed by population growth. The global population set to increase by a further two billion people over the next 20 years, but the report highlights the fact that the key question is not How many people? but rather How are they all going to live? These findings will something of a body-blow to David Cameron’s vision of an export-led return to growth, but at least he can take some comfort from the fact that his strategy didn’t appear to be working anyway. The implication is clear; whether we like it or not, the good times are not about to return any time soon. But while this news is certainly bad for the Coalition (and also for the other centre-right Governments in the Eurozone) it is not necessarily bad news in and of itself, nor indeed for the rest of us. The strategy of Governments over the last 30 years has been to focus on increasing the wealth, well-being and opportunities of individuals rather than of society as a whole. Like any policy there have been winners and losers, but the result is that this recession intuitively feels different to all the others. In comparison with the previous slumps of the 70s and 80s, GDP is much higher – which is a good thing – but the gap between rich and poor is now much, much bigger than it ever was and it is continuing to widen at an unhealthy rate. Literally in fact. For example, in my hometown of Sheffield, the average life expectancy in the richest parts of the city is more than 20 years greater than that in the poorest. This pattern is repeated in cities across UK, Europe and North America. Change is required, but the truth is that this is as much attitudinal as it is economic. A third of all food purchased in the UK is simply thrown away, while 80 percent of all items bought are used once and then discarded. Everything Now is an indulgent and wasteful way to live, and we have all been complicit in its emergence, but that doesn’t mean that we won’t be happier, or better off without it. Reusing equipment, recycling materials, reducing waste, obtaining energy from renewable sources, and getting consumers to stump up for the actual cost of their consumption will make a huge difference to our way of life, but not necessarily to our quality of life. What we need is a new way of measuring economic success beyond GDP and GVA, which fail to take into account things like levels of well being and contentment. This will take far sighted political leadership across all the parties; and probably not the kind of people who feel that closing a VAT loophole requires them to pretend that sausage rolls are the best thing since sliced bread, because worrying about how every policy will ‘play out’ in the short term, spells disaster for the long term. This entry was posted in Columns, News and tagged advertising, consumerism, population growth. Bookmark the permalink.